1. Tell clients up front that no project is ever without an extra change. Your clients should include a contingency for these in their financial plans. 2. Project managers should regularly review their contracts and projects to determine that the firm has not inadvertently exceeded the contractual obligations. 3. Always tell a client when you are doing something outside the scope of work, even if you are willing to include that item in your current fee arrangement. If you don’t plan to charge for that change, tell the client of its dollar impact anyway. Leave the door open by stating you are not going to charge “right now,” but that you might need to come back for additional compensation if conditions change. 4. Inform the client in writing of every change in scope, whether or not it will be chargeable or not. Reference the extra work as subject to the terms in your contract. This may be important for professional liability reasons. 5. In the pre-project meeting, carefully review the scope of work. Make sure the client knows what is not included, especially if it is an exception to normal procedures. 6. Help avoid disputes by developing a scope checklist and reviewing it with the client. Quantify as many scope items as possible. 7. When you must bill for an extra or a change, bill promptly and at rates that deliver a profit by themselves. The strength of every A/E/C firm is its project managers. Every practice must develop highly skilled project managers to deliver projects successfully. PSMJ's A/E/C Project Management Bootcamp, which has trained more than 30,000 top-flight project managers worldwide, dramatically improves the performance of project managers. 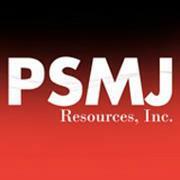 This fall, PSMJ is providing 5 locations to give your project managers the tools and confidence needed to join the ranks of the world's most successful project managers. Register today! Admit it! You’ve been intending to purge and reorganize your marketing materials for years. As the end of 2012 looms and the beginning of 2013 is around the corner, resolve to clean up your marketing materials to start the New Year off right. • Make your printed collateral material look like your website. Nothing conveys an image of consistency like having all of your publicity obey a single theme. • Clean up resumes. Do any employees have new degrees or new professional registrations? If you use photos, have employees undergone a “makeover” and need a new photo inserted? • Clean up project descriptions. Do you have project write-ups that show photos of the work under construction? Is the project now complete? Can you get photos of the completed project? If so, add them in… better yet, make a progressive collage showing the site, the facility during construction, and then upon completion. • Clean up news items. Has your website gotten stale with news that’s months old? Look at your site as if you were an outsider or perhaps a client… and see how it conveys your image. • Add new services or services that have expanded. Have you added a new service line or expanded an existing line? • Make sure office locations, contact information is current? Does a location have a new phone number? If so, be sure your material is updated to reflect these changes. • Update the quality of your photo library to get higher resolution photos, especially of your capstone projects. • Organize your photo library. You shouldn’t spend hours searching for project photos you’ve used a hundred times. Assuming your image library is digital (which it should be! ), find a robust photo organization software application that allows you to easily tag and search for photos. Start the New Year off right with a fresh update on your marketing materials. This is a great way to spend those slow – sometimes unbillable – hours during the holiday season. Attend one of PSMJ’s Win Work Now: Three 1-Day Business Development Programs for more vital information on how to effectivly approach business development in the new year! Recharge your Business Development Program by actively participating in these highly focused, targeted programs in the three key Business Development areas - Business Development Strategies, Winning Proposals, and Powerful Presentations. This fall, PSMJ is providing 3 locations all across North America and Canada to give your whole firm the tools and confidence you need to succeed in bringing in more work for the firm. Register today! For many firms, the difference between profit and loss on a project is the ability to collect for extras and changes. Give these seven suggestions a shot. 4. Inform the client in writing of every change in scope, whether or not it will be chargeable. Reference the extra work as subject to the terms in your contract. This may be important for professional liability reasons. Billings at U.S. architecture firms improved slightly in August, after four consecutive months of decline. The Architectural Billings Index registered a score of 50.2 for August, indicating a minor increase in design billings. Inquiries for new project activity also improved, showing its strongest gain since the first quarter of the year. Although improvement has been minor, there have been significant changes in design firm activity based on region. With a score of 51.2, firms in the West reported their first monthly increase in billings in five years, offering the possibility that firms in this region may finally be working their way out of the downturn. Conversely, firms in the Northeast and Midwest reported weak conditions in August, after reporting generally positive conditions over the past year. Billings based on company specialization were again mixed in August. Those specializing in the institutional sector reported only their third monthly increase in the past 18 months. Residential firms saw healthy gains, providing further evidence that the residential construction sector is in recovery, however, commercial/industrial firms reported their fourth straight monthly decline. This was a surprise after eight straight months of improvement. Softness in design activity at architecture firms is reflecting the slow pace of the national economic expansion. Job growth in August was disappointing, with only 96,000 net payroll positions added nationally, well below the 225,000 added on average each month during the first quarter of the year. Construction employment hardly changed at all in July and August, and manufacturing employment saw a rare decline in August. Given this backdrop, it was surprising that the national unemployment rate dropped from 8.3% in July to 8.1% in August. The reason was due to a surprisingly large drop in the labor force: a net loss of 370,000 persons nationally in August on top of 150,000 in July, as more people either stopped looking for work, retired, or left the labor force for other reasons. The weak economy has generally kept inflation under control. Consumer prices have been growing at about a 2% annual rate for most of the year, with wholesale prices rising a bit more. The recent upturn in gasoline prices is likely to push up inflation in the coming months. Weak employment growth, a high national unemployment rate, and volatile gasoline prices have affected consumer confidence scores, which were lower in August than in January. However, the University of Michigan reported an uptick in consumer sentiment in its preliminary September release, which could point to an increase in consumer spending in the months ahead. By region, the ABI breaks down as follows from July to August: Midwest is down 45.3 from 46.7, South is down 52.2 from 52.7, Northeast is up 45.5 from 44.3, and West is up 51.2 from 45.3. By market sector: Residential is up 53.0 from 51.4, Institutional is up 50.2 from 48.4 and Commercial/Industrial is up 47.9 from 46.6. • There are a lot of tire-kickers, especially among small to midsize private sector players. The large REITS and developers are moving forward on projects without regard to bank involvement. • I have projects waiting to start after the first of the year—not a practical thing to do as we are seeing great increases in material pricing, especially lumber. Also [there are] long delays in getting materials. Nothing is being stocked. • There is worry over reduced federal funding for capital expenditures. We are competing for studies and planning projects that aren’t assured of proceeding to design and construction phases. • The residential sector seems to be picking up with the inventory decreasing. Homes under 2,500 square feet [are] the direction many potential clients are moving toward at this time. Type “language barrier” into Google and you’ll be surprised at the large number of entries describing terminology barriers in professional disciplines such as medicine or science. It exists in architecture and engineering as well, and must be considered when preparing proposals and presentations for a client or prospect whose first language may not be English, but Spanish or German, for example. Keep these tips in mind when dealing with language barriers in your proposals. • Compose your proposal text in English. That’s how you think! Then hire a good translator to help you get the proposal text into the reader’s language. Hire a translator with technical expertise in your field, since the jargon used in architecture and engineering will have specific translations into other languages. • Be sure the translator is familiar with the tone, feel, and appearance of proposals done in the target language. In some cultures, the broad American rule of one-third each language, white space, and graphics may not hold. In some cultures, the text is up front, and tables and graphics follow either in a separate volume or in a labeled appendix. • Appearance must meet the reader’s expectations. A few years ago I transported a proposal clear across Ireland get it professionally bound by one of the country’s leading binderies before it was shipped off to the client. • Steer clear of translator sites on the web. These sites generally may be accurate in word-for-word translation, but add little or no context, vernacular, or interpretation… or worse, add these items incorrectly! • Know and obey the cultural dictates of introductions and business card presentations. Our casual American custom of “dealing out” business cards and handing them out in one hand is seen as an affront in some Asian cultures, where the proper way to proffer your card is with two hands and a slight bow. • Use poster boards done in the target language. This is a powerful way to communicate during the interview without too much pressure. That way your translator can be sure the message is presented properly and accurately. • Slow down your presentation, whether you are doing it in English or the target language. But do not shout, which is a common mistake Americans make when addressing an international audience or an audience in another language. • Use the universal language: smile. A smile goes a long way and communicates volumes. • Know the culture of the target audience regarding dress. In some cultures a red necktie carries a distinct connotation; in others, it is a yellow tie. Know whether it is acceptable to adopt a casual demeanor, such as by taking off your jacket… in some cultures it signifies disrespect. Your goal is to have your audience listen to your message, whether delivered in written form in the proposal or in verbal form through an interview. By learning the distinctions of the culture, you can minimize the language and culture barrier. For more vital information on how to effectivly approach business development, register for PSMJ’s Win Work Now: Three 1-Day Business Development Programs. Recharge your Business Development Program by actively participating in these highly focused, targeted programs in the three key Business Development areas - Business Development Strategies, Winning Proposals, and Powerful Presentations. This fall, PSMJ is providing 3 locations all across North America and Canada to give your whole firm the tools and confidence you need to succeed in bringing in more work for the firm. Register today!